Do you love the silly animal characters featured in the app? No way?! Me, too! Did you know that there’s a Kakao Friends store in Korea? Well if you didn’t know, now you know, friend. 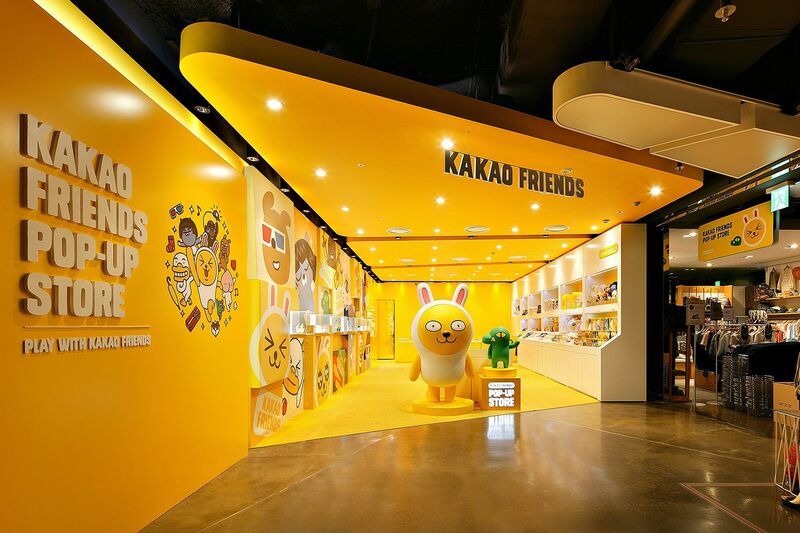 The Kakao Friends store in Korea is dedicated to bringing collectible, huggable, and extremely adorable products of the Kakao mascots to the public. The Kakao Friends store is vibrant and fun to look at, thanks to the colorful personalities that the Kakao characters portray! Each mascot has a distinct personality, and people often find themselves relating to one specific Kakao Friend as their “spirit animal,” when it can explain the user’s feelings better than he/she can through text. Subscribe to get awesome goodies in your SnackFever April Box by April 21st! There are life-sized figures in the store that visitors can take photos with and a large variety of products featuring each mascot that anyone can buy, too! Not everybody can fly or swim to Korea whenever they want to visit their favorite Kakao mascots, but not to worry, Kakao Friends is also available via their online store, although you’d probably have to translate the page into your first language if you can’t read Korean! You can read more on the Kakao Friends character bios here. My favorite is Muzi, the yellow radish in the bunny suit! Which one’s yours?